In recent years, brain cancer has become one of the diseases threatening people's life and health. It brings severe painfulness and disturbance to people. Regular examination can help people discover brain cancer early while brain cancer diagnosis can help determine whether there is brain cancer or not, so as to improve the treatment effect of brain cancer. Below are diagnosis methods of brain cancer introduced by experts from Modern Cancer Hospital Guangzhou. What Are the Diagnostic Methods of Brain Cancer? To observe whether there is papilledema in the eyeground. Papilledema is one of the three signs of intracranial hypertension, accompanied with headache and vomiting. It is seen in only one quarter of the brain cancer patients. Therefore, one can not hastily exclude the possibility of brain cancer only because the examination of fundus proves negative. X-ray photographs of skull can reveal whether there are abnormalities like increase of intracranial pressure, local damage or hyperplasia of the skull, enlargement of the sella turcica, pineal calculus and pathologic calcification of brain tumor. They are helpful in determining the location and nature of the tumor, but only less than 1/3 of them prove positive. Therefore, one can not hastily exclude the possibility of brain cancer only because the X-ray photographs of skull prove negative. EGG is helpful in determining the location of the fast growing tumor in the cerebral hemisphere. It shows decrease of wave amplitude and slow down of frequency in area around the tumor but is less helpful in diagnosing tumors in brain midline and deep part of cerebral hemisphere, as well as meningeoma in infratentorial brain. CT examination of brain can detect more than 90% of the brain tumors. As so far the main diagnosis method of brain cancer, it can reveal size, shape, amount, location, density and nature of the brain cancer. It can reveal most of the brain tumors and their surrounding edema and precisely reveal the location, size and shape of brain tumor. 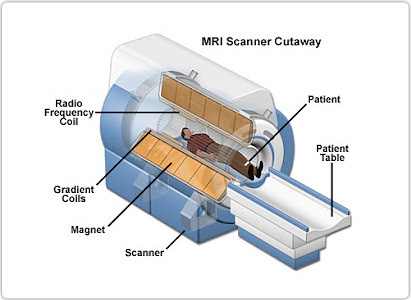 MRI is an important additional examination method of CT examination. Experts from Modern Cancer Hospital Guangzhou remind that if one is diagnosed with brain cancer, he should go to regular hospital for treatment timely.